Friday Flyover: Nominate your high school! CHICAGO (WLS) -- One of ABC7's favorite times of the year is coming up soon. High school football season is about to begin - that means it's time for Friday Flyover! The station sends Chopper 7 HD above local high schools to showcase their school spirit. ABC7 is currently looking for schools you think should be featured in this year's competition, which begins in a few weeks. 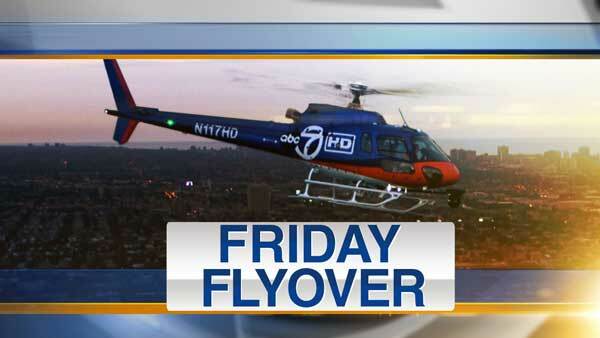 In addition to the email, head over to the ABC 7 Chicago Facebook page and comment on the Friday Flyover post to tell ABC7 which schools the chopper should fly over.